Supply your contact details. They enable journalists to contact you quickly if they have questions or need follow up information. Follow these tips and watch your coverage rates grow! Got a question? Drop me a tweet or leave a comment on facebook. Don’t have the time to create press releases, research media contacts and issue them? Contact me on 07974 161108 to find out how I can help. 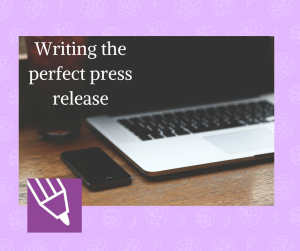 1 Pings/Trackbacks for "How to write the perfect press release for your veterinary product"